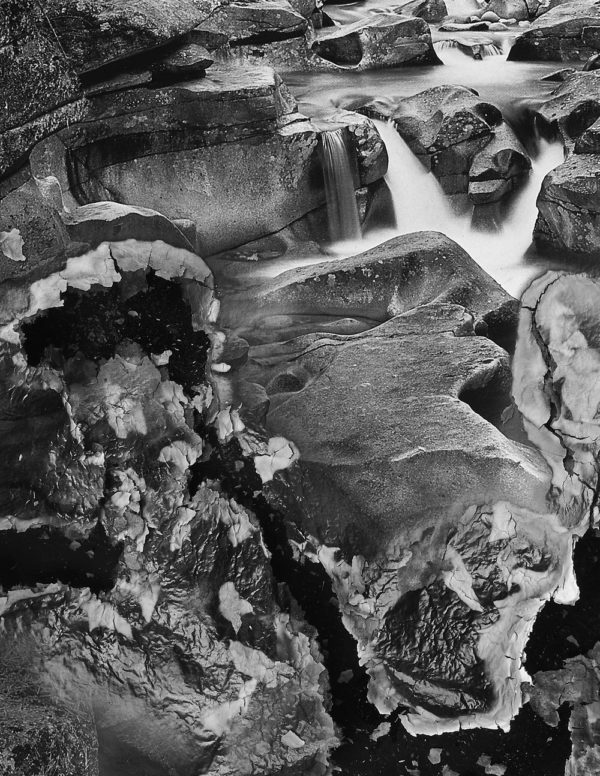 “Khalaf’s sublime, black and white, natural world landscapes offer up beauty and uncertainty. Using various processes of degradation (burning, smashing, consuming) the artist re-imagines the natural world, taking the viewer beyond the nihilism of destruction, into the generative possibilities that are offered by voids and absences. 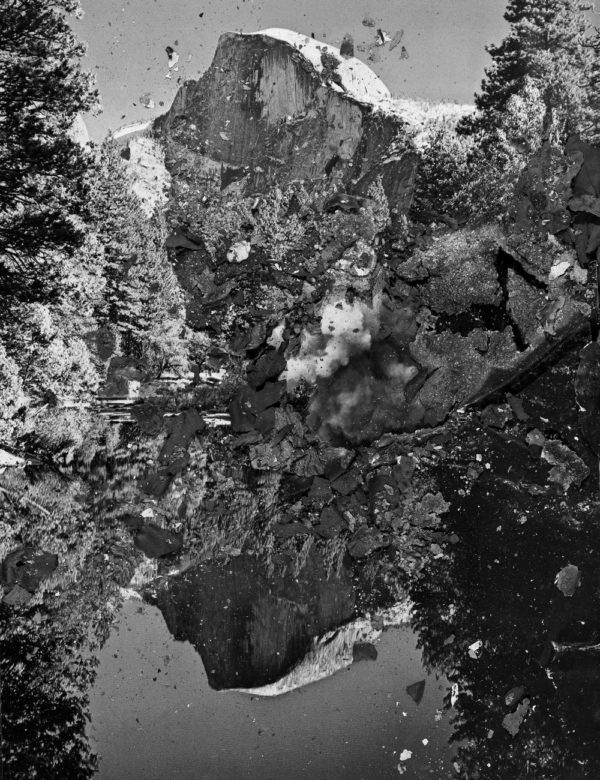 Troubling, and all too relevant, the photographs include the destruction of nature in their process; in many of the works, the source of that violence is fire. 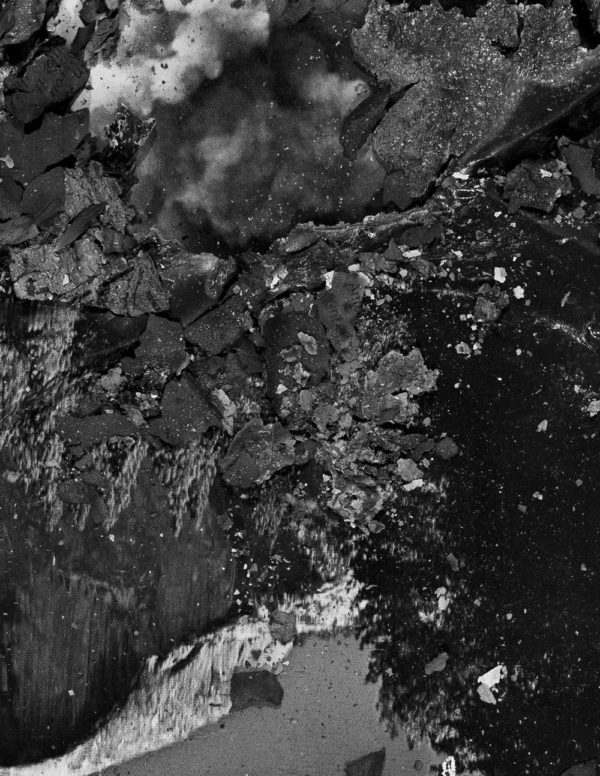 Each photograph contains burned areas where Khalaf sets afire a section of the composition. Leaving part of the photo to burn away, she then extinguishes it and photographs whatever is left over, creating new images. While suggesting destruction, Khalaf’s unmaking doesn’t spiral entirely into nothingness, but leaves an absence as a relic of her action. Ultimately she demonstrates that it is still possible to discover unexpected beauty in destruction and, in so doing, opens up the viewer’s sense of the sublime. The entry 'Bessma Khalaf' was posted on April 2nd, 2019 at 6:27 am	and last modified on April 2nd, 2019 at 6:29 am, and is filed under Uncategorized. You can follow any responses to this entry through the RSS 2.0 feed. Both comments and pings are currently closed.